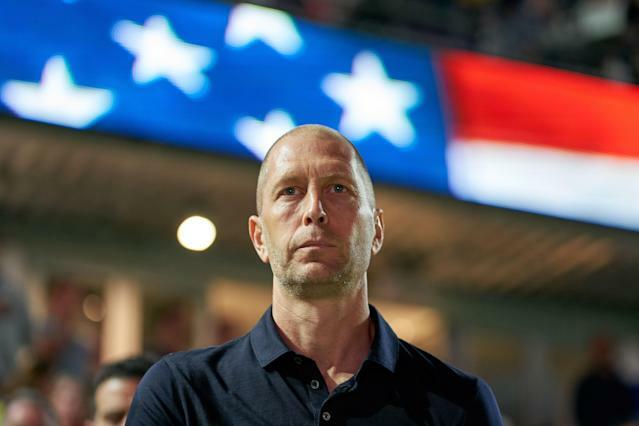 ORLANDO, Fla. – If nothing else, Gregg Berhalter’s new-look U.S. men’s national team went into Thursday’s encouraging 1-0 win against Ecuador knowing exactly what it wanted to do. Meticulously prepared to the point where Berhalter admitted that he had to ease off his players or risk overloading them with too much information ahead of the match, there was no question that this long-rudderless squad finally had a coherent game plan. There is some justified skepticism that Berhalter’s side will be able to execute his preferred ball-possession style on the type of uneven, waterlogged field where the Americans’ run of seven consecutive World Cup qualifications came to a shocking end in Trinidad in October 2017, let alone at the tournament itself in games against the game’s global juggernauts. A stiffer test than Ecuador awaits the Americans as soon as next Tuesday, when they’ll face South American champion Chile in Houston. You can only fight the opponent in front of you, though. And against a similarly rebuilding but still formidable foe in Ecuador, the U.S. bobbed and weaved, managing to duck every punch. The plan worked to perfection. 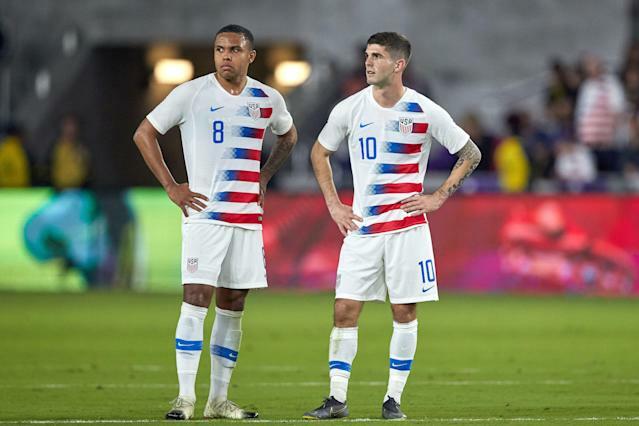 They allowed their guests one solitary shot, just the fourth time in the last 20 years that the U.S. had allowed that few, and never against a team from outside the CONCACAF region. And Ecuador’s lone effort wasn’t even on goal. With just two full training sessions to prepare, the attack wasn’t always cohesive. Some slick combination play in the first half between attackers Christian Pulisic, Paul Arriola and Jordan Morris lacked the knockout blow. Yet it was obvious that the ideas were there. With time, the hope is that the sharpness will increase to the point where the moves start to become automatic. The U.S. defended first and foremost by not giving up the ball, forcing the Ecuadorans to chase. They enjoyed 63 percent of possession and completed 89 percent of their passes, the most in almost three years. Having four defenders in Ream, Tyler Adams, John Brooks and Aaron Long — plus goalkeeper Sean Johnson – who are comfortable playing with their feet helped tremendously. The approach allowed the U.S. to probe for openings and, when none were there, ping the ball around and wait for spaces to open up. If anything, the execution was impressive considering the lack of actual on-field reps with the full group. Berhalter has made a point to be in frequent contact with the nine players on this roster who weren’t part of his all-MLS-based January camp. He went to visit them and watch their club games in Europe, some more than once. He called. Texted. Emailed. Conducted tactical tutorials on Skype. To some degree, none of that matters when the match kicks off. This wasn’t theory, it was real world. And it went about as well as anybody could’ve reasonably expected. But what it wasn’t was an accident. Mainly, a damn good place to start.